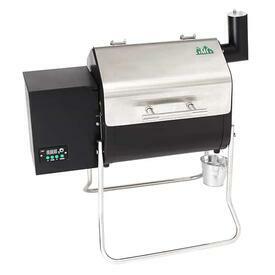 Buy Green Mountain Pellet Grills at the best price with free shipping nationwide! There's a reason the folks at GMG named their line of pellet grills after frontiersmen, explorers and trailblazers such as Daniel Boone and Davey Crockett. 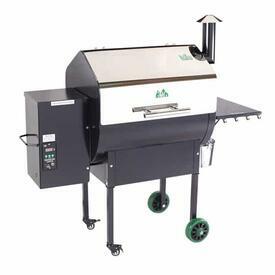 Their grills are fueled by hardwood pellets; all-natural, clean, easy, convenient, and bursting with flavor molecules. Each offers a digital thermostat control that enables a “set it and forget it” mode just by pushing a button. Consistently bringing the heat mean culinary accomplishments! 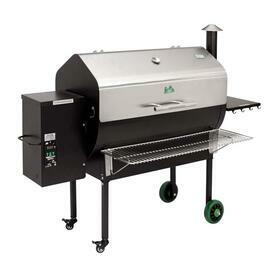 That's Green Mountain Pellet Grills! This award-winning company produces wood pellet grills ideal for every size of meat from small pieces of chicken to large rib racks. The best designs, convenient trays for utensils, Venturi-style fireboxes for cyclone combustion, stainless steel cooking grates and more! Cook your favorite meats along with side dishes, veggies, pizza and even casseroles and breads. Family Leisure offers the very best grills for sale; each manufacturer is handpicked by our team to ensure quality and longevity.